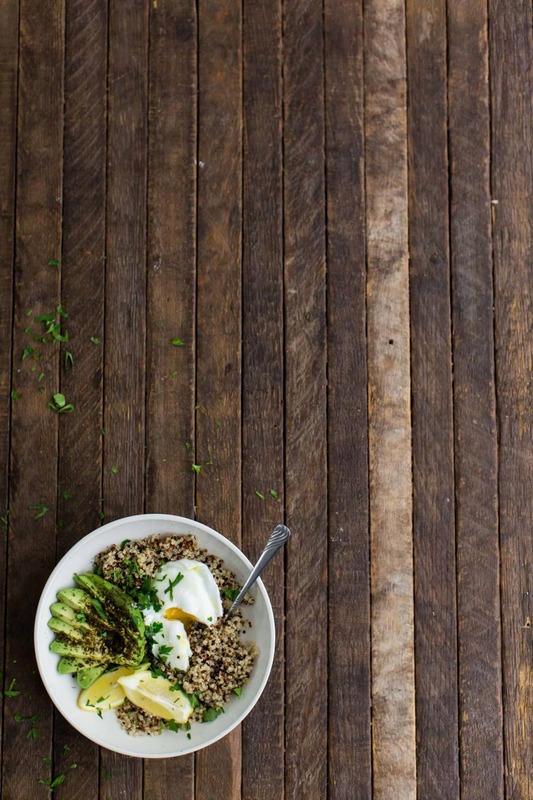 Quinoa Bowl with Za'atar Avocado and Egg | Naturally. When ready, slice avocado and place in a bowl. Squeeze a bit of lemon over the avocado and toss. 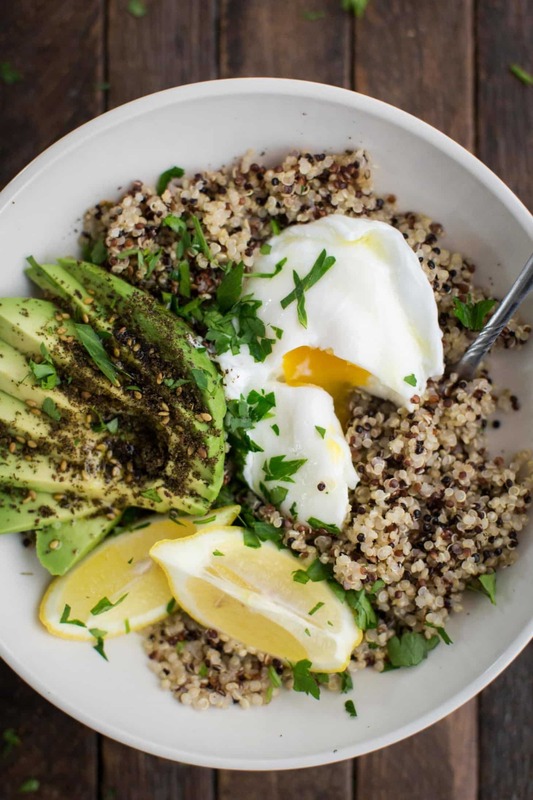 Divide the quinoa into two bowls and place avocado on top. Sprinkle liberally with the za’atar and salt. I am just like you — I like to set intentions for the new year! LOVE this recipe m’dear. Can’t think of a better way to close out 2025. Cheers to a wonderful 2016! Za’atar is one of my favourite things! We get it shipped from Palestine, it’s so delicious. 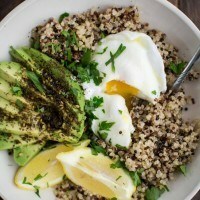 I was starting at the Quinoa and avocado in my pantry this morning, wondering what to do with them. This sounds great! Thanks for sharing. This looks so lovely! Definitely want to try this in 2016 as a lunch. This gives me another excuse to cook some quinoa. Certainly looks like my kind of meal, yum! Simple but wonderful ingredients, love Za’atar. But I was wondering when I read this post, why/how are your New Years intentions any different than a resolution? They seem the same to me and I am curious to know your thoughts. Thanks! They are probably the same to some. I feel that resolutions have a bit of a negative connotation because of how we look at resolutions/the percentage that get dropped after the first month. Setting an intention for me is less about saying “I’m going to do this” and more about setting a general mood for the year! Thanks so much for your thoughts on that. “A general mood for the year”, I like it! Hi Ella, I am new to your website. Looks like you have some great recipes. I have never heard of Za’ater. Could you tell me where to find it, or share a recipe for how to make it. Thanks! Hi Mary- you can do either. This is a good brand or here’s a good recipe. I was looking for some quinoa recipes and this looks great! Thank you! This dish is so amazing. The combo of flavors with the acidity and the creaminess of the avocado and the za’atar are right on point. I didn’t have lemon so I made a vinaigrette with cider vinegar. It was tooooooo good. I did something similar this morning but added toasted cashews. So good! Tried it for lunch by changing some things, tuna instead of eggs and cilantro instead of parsley. Plus added some apple cider vinegar aside from the olive oil and lemon juice. It was delicious! Thanks for the inspiration!